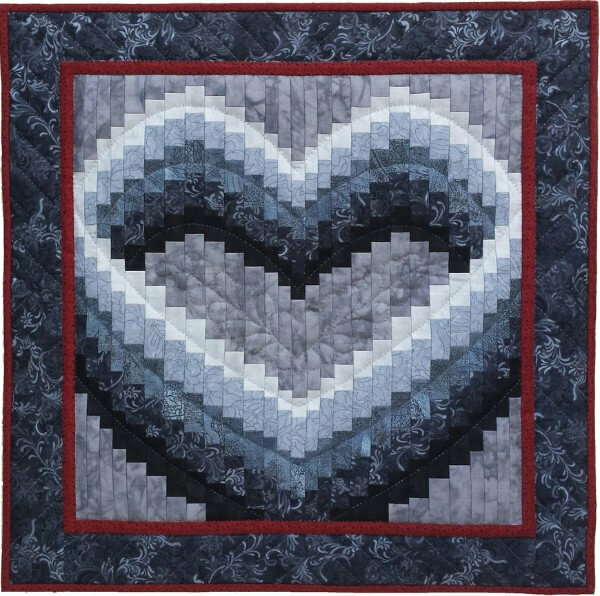 Easily pieced strips are expertly arranged to create a dimensional heart. The open center is the perfect canvas for a quilted feather design. Neutral shades of soft gray are highlighted with a red inner border and binding. Finished size is 22� x 22�. Kit includes all fabrics (100 % cotton) for quilt top, back, and binding. Also included are batting, quilting designs, precise patterns and complete illustrated instructions. Colors are soft shades of gray, black, and red.